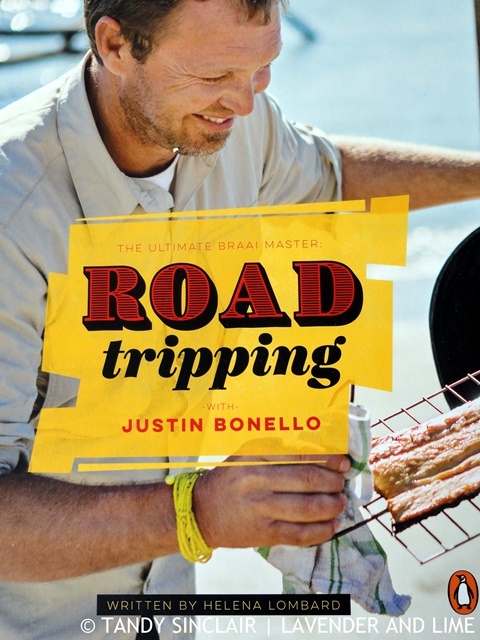 I have successfully made rotis from Justin’s latest recipe book and I am sure that this new round of Braai Master will inspire another great book. Here is my interview with Justin Bonello. To narrow it down to one person would be really unfair, so I’ll go with the obvious – my folks, my wife, my family and my friends. My journey with food was born out of the necessity to know what I had to do with the crayfish that I dived, the mussels that I harvested and the fish that I caught, and that necessity that came out of respecting nature sparked my love for food and cooking. I’m a bush cook so I don’t really have any kitchen tools other than my digits that I take along with me wherever I go, but the one thing that I would take from my kitchen would be my set of Global Knives. Yes – cleanliness is next to godliness. I hate a dirty kitchen – I don’t want to eat food from one or be in one! Which meal is your all-time favourite? I love a clam bianco vongole, which is a clam pasta. It would have to be my mates Franco and Ezzio’s restaurant, Magica Roma in Pinelands. It would have to be the Silver Spoon – it’s huge book and has about 2000 recipes from all around Italy – a must have in your kitchen! I’ve been fortunate enough to work with lots of chefs for a day – and sometimes longer, but if I had to choose one that would stand out would have to be the late Keith Floyd. I won’t touch anything that’s been processed into an unrecognisable form where I can’t understand the ingredients that are in it anymore. I live my bucket list every single day in the places that I travel to and the things that I am fortunate enough to experience, so no particular list, although I do have a very big bucket list book that I’ve been steadily working my way through for years. Grow your own vegetables, eat your own vegetables and if you’re going to eat meat, make sure that it’s ethically farmed and harvested – and definitely no fast food! Disclosure: This interview was facilitated by Liané van Zyl from Soapbox Communications & Events. This post is in line with my blogging policy. I am sure that Amazon will have it! How wonderful that Justin lives his bucket list. There really is something in approaching life like that. Also really appreciate his food ethics, we are really getting into our home garden, a little expensive to set up, but now it is in full swing, we are saving a lot each week. I love his food philosophy. Great interview Tandy. Beer, butter and garlic. Good things. I love his philosophy on growing your own veggies. I’ve been wanting to do so, in my apartment, for such a long time. Wonderful interview. Great post, Tandy! I enjoyed reading it! PS. In case you wouldn’t know: Tortadellafiglia has moved to a new address http://tastefolio.com! Hope you’d like to stop by! I have stopped by, and have been watching while you load your posts!